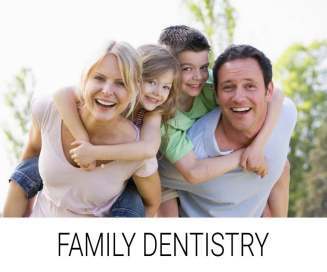 A Family Friendly Environment focused on Preventative, Restorative, and Esthetic Experiences. West Mobile Dental Care is a state of the art dental practice in Mobile, Alabama, that offers treatments in a modern, welcoming environment. Our wide array of available treatment options is fully customized to meet your cosmetic dental goals. Dr. Schrader has excelled in treating patients who may need veneers, root canals, extractions or to replace teeth with implants or dentures. Our office routinely provides oral care and many dental procedures that may be referred to another dentist or specialist. As a general dentistry practice, we take pride in treating comprehensively to create patient smiles. Dr. Schrader has the ability and the patience to explain every procedure in detail for your peace of mind. Rest assured that you’re in good hands. 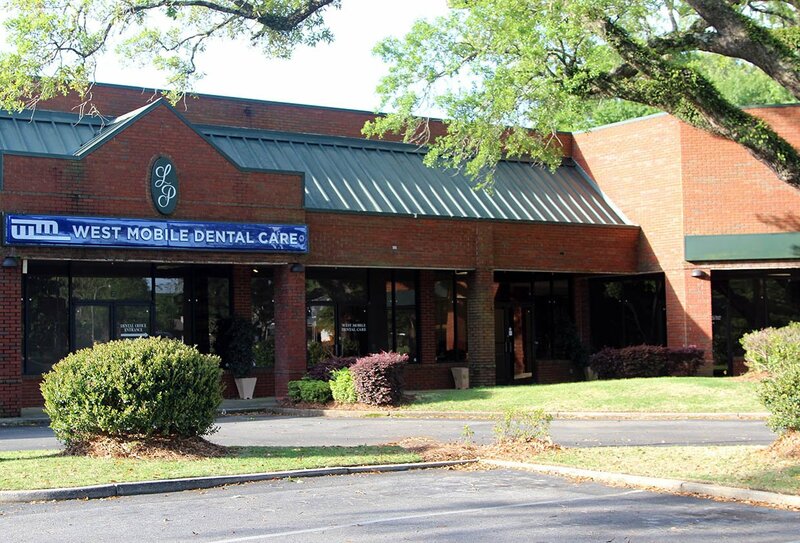 Dental care at West Mobile is not limited to just a few areas of general dentistry. Comprehensive in nature, our dental philosophy is to create smiles for any given patient by providing conservative and predictable care in the form of fillings, crowns, root canals, extractions, dentures, and implants. Our office provides general dentistry including cleanings, X-rays, and oral exams for patients of all ages. When you schedule your dental appointment, you can be assured that our team will give you the attention that you deserve to ensure all of your questions and concerns are addressed. Our practice takes pride in educating our patients about their dental needs so that they leave our practice knowledgeable and confident about their recommended treatment. You will find that our office is understanding and patient and want patients to know that we truly care about their teeth and smiles! DISCOVER YOUR "SMILE STATUS" TODAY! Schedule an appointment for a consultation with the dentist to discuss want dental treatment you may need to obtain your perfect smile! Dr. Schrader and his office will evaluate your oral health and the status of your teeth to determine if you may need implants, dentures, veneers or simply a cleaning to help you achieve the confident smile you deserve. Upon earning his Doctor of Dental Medicine degree from the University of Alabama in 2009, Dr. Schrader completed his Advanced Education in General Dentistry at the Veterans Affairs Medical Center in San Antonio, Texas. During his residency, Dr. Schrader enhanced his skills in cosmetic dentistry, dental implant placement, TMJ and sleep apnea therapies, and gained certification in Invisalign®. 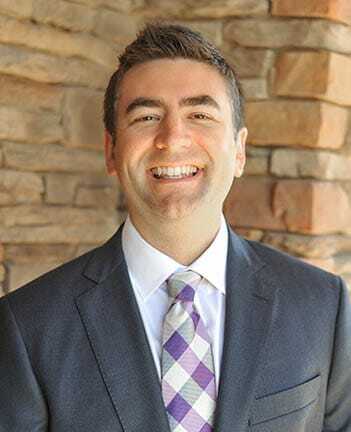 Following completion of his residency, Dr. Schrader practiced for more than seven years as an associate dentist with Riccobene Associates in Raleigh, North Carolina. You can feel safe and secure bringing your entire family to our practice. We offer preventive and restorative dentistry, ranging in scope from regular checkups and cleanings to more advanced treatment planning. We provide the latest restorative and cosmetic procedures. If you’re interested in teeth whitening, porcelain veneers, bonding or even Invisalign you can be sure we will have you covered. Having a dental practice that you can trust and depend on to treat your entire family with compassionate care is essential to our office. We offer deep teeth cleaning to help treat periodontal problems and gum disease. Gum health not only affects your mouth and teeth, but it can also impact your overall health and wellbeing; therefore, it is important to maintain good oral and periodontal health. If you are experiencing symptoms of gum disease, such as bleeding or swollen gums, we can help treat the problem. Dr. Schrader can diagnose and treat deep pockets and remove plaque and tartar buildup with deep cleanings, scaling, and root planing. There are times when your natural adult teeth have already fallen out or have become broken/infected beyond a predictable repair. Dentures can be a quick and affordable solution that give you an attractive and beautiful smile. We are able to replicate lost teeth and missing gum tissue naturally and comfortably. Dentures can be an affordable alternative to implants or bridges. Whether you are a first-time denture user or you need your old dentures replaced/repaired, we can help bring your smile back. Dental emergencies don't typically happen when it is convenient for your schedule. Unfortunately a broken tooth, lost filling, or cracked crown usually occurs on a weekend, Friday night, or holiday. This is why we have contingency plans in place to offer emergency dentistry. We are a full cosmetic and restorative family practice, and we are here for you when you need us the most. If you have a dental emergency, we can help. If you are experiencing headaches, pain in your jaw, facial muscles, or even pain and sensitivity in your teeth, it could be caused by bruxism or grinding and clenching your teeth at night. Arthritis, trauma to the jaw, and TMJ disorder can also cause pain and sensitivity in your jaw, mouth, and teeth. A simple solution to overcome nighttime clenching or grinding is a night guard. A night guard can cushion and protect your teeth, place your jaw joint in a relaxed, stable position, and help prevent the uncomfortable symptoms of TMJ disorder. Warning signs of gum disease include gums that are red, swollen, or tender. Gums that bleed easily are also a sign of gum disease/inflammation. Gum and periodontal disease can cause your gums to recede, create bad breath, and even lead to tooth loss. Fortunately, good oral hygiene, regular checkups, and completing any possible indicated treatment can help stop and in some cases, reverse damaging gum disease. Healthy gums are important for your oral and overall health. Preventive dentistry is one of the best ways to avoid expensive and sometimes invasive dental treatments. 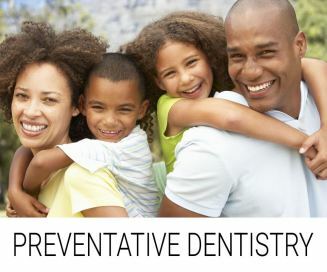 We offer preventive dentistry that will keep your teeth and your mouth looking and feeling great. Regular checkups, x-rays, and periodontal exams are one of the best ways to prevent gum disease and the need for costly crowns or more extensive dental work. Seeing your dentist on a regular basis combined with good oral home care will ensure you have a bright smile for your entire life. Restorative dentistry is the process of bringing your natural smile back. Whether you've been in an accident, have wear and tear, or older mismatched dental work, an excellent restorative dentist can create a plan that brightens your smile and increases your confidence. We offer crowns, veneers, dental bonding, Invisalign, teeth whitening and more. These options can be combined in a treatment plan to bring your smile back even brighter and more brilliant than it was before. Root canals save infected teeth that generally would need to be extracted. By removing the diseased nerve from inside the root of the tooth, we are able to fill and seal the root with a biocompatible material that prevents further infection. Depending on the number of tooth roots, Dr. Schrader can usually complete the procedure in one or two visits and may recommend the root canaled tooth to have a crown placed to protect it from fracture. Root canals eliminate pain from infections and abscesses and allow you to keep your natural tooth. A snoring appliance can help treat or eliminate storing. The oral appliance is worn at night, and it helps to push the lower jaw forward and open the airway. Dr. Schrader can create a custom snoring appliance that will not only improve your breathing, but it will help diminish snoring at night. A snoring appliance can also help treat sleep apnea, which can be a more comfortable treatment option as opposed to a CPAP machine. Unfortunately there are times when a tooth extraction may be the only recommended solution to a broken or infected tooth. Perhaps the infected tooth has come to a state that is beyond predictable repair, or may need to be removed to make room for orthodontic tooth movement. This procedure doesn't have to be as scary as it sounds. Dr. Schrader takes various steps to try and extract a tooth with minimal discomfort. We offer anesthesia and nitrous oxide to minimize fear and anxiety in order to make the procedure as comfortable as possible. Tooth fillings are a great way to prevent cavities from expanding closer to the nerve of the tooth, which would require expensive procedures in the form of root canals and crowns. Fillings are a relatively simple and painless procedure where your tooth is adequately numbed, the decayed tooth structure is removed, and the resulting hole is filled with a tooth-colored composite material. We do our best to make this process pain and anxiety free. By ensuring the tooth is deadened appropriately prior to starting the procedure, we strive to make the appointment pleasant and comfortable. Cosmetic dentistry includes procedures that help your smile to be beautiful and bright. Dr. Schrader can perform and combine procedures ranging in scope from bonding, crowns, and veneers to teeth whitening and Invisalign in order to make your smile look uniform and brilliant. 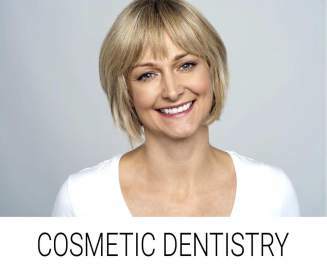 An excellent cosmetic dentist understands form and function and does their best to create a treatment plan that will create a beautiful smile and maintain a predictably functional bite. Cosmetic and restorative procedures are often combined to bring back a youthful smile. Teeth whitening is one of the fastest, easiest, and least invasive procedures that can have a dramatic impact on your smile. Modern advances in technology make whitening procedures more comfortable and more effective than ever. Stains can be removed, and shades can be lightened. We can create custom trays, which will allow you to bleach your teeth in the comfort of your own home or you can try our prefabricated prescription strength trays for use on the go. Porcelain veneers are a cosmetic procedure that can fix cracked or chipped teeth, mild spacing, or stains and discoloration. Porcelain veneers consist of a thin layer of porcelain being bonded on to the front of the tooth. A veneer may involve some conservative removal of the external tooth surface, but the procedure is not as invasive as the preparation for a full dental crown. Veneers can be an excellent way to fix one chipped tooth or to improve your entire smile. Dental implants are one of the best solutions to replace a missing tooth or even multiple teeth. An implant is a titanium post that mimics a tooth root and can be placed in the bone to replace missing teeth or a tooth that needs to be extracted. A natural looking, lab fabricated crown is attached to the implant to give you a functional bite and an esthetic smile. Implants can be utilized for a single missing tooth or to replace an entire arch. Invisalign is a series of clear plastic aligners that fit over your teeth and gradually move them into alignment. The advantage of Invisalign is that the clear trays are more comfortable, less noticeable, less invasive, and sometimes even faster than traditional metal braces. If you are interested in improving crowded or spaced teeth, Invisalign could be the perfect solution. Digital software is utilized to create a custom treatment plan and fabricate aligners that move your teeth into perfect alignment. Dental bonding can be used to fix chips, gaps, discoloration, and broken teeth. Bonding is a cosmetic procedure similar to veneers, but it is often less invasive and less expensive. The bonding material is a gel-like substance that is shaped onto the tooth and then cured or bonded on with a light. The bonding material can be customized to match your natural tooth color. This same day procedure can create dramatic results and leave you with a stunning white smile. Dental bridges can be used to replace a missing tooth or even multiple teeth. During this procedure, Dr. Schrader will create a permanent prosthesis that is cemented onto the teeth adjacent to the missing tooth. The bridge allows a natural looking replacement tooth to be fixed in place to the adjacent supporting teeth. Dental bridges can be an alternative to partial dentures if a patient desires a prosthesis that is more permanent and does not need to be removed. Patients that are not candidates for implants may also want to consider a bridge. Dental crowns are one of the most common restorative procedures. When a tooth is damaged, fractured or has a significant cavity or large filling a dental crown is the appropriate solution. Dr. Schrader will shape and prepare your tooth, take an accurate impression, and then cover your tooth with a natural appearing temporary crown. Our lab will customize your crown to match the color, shape, and size of your natural teeth. Upon return to the office, the new crown will be bonded to the prepared tooth. Crowns are usually made of porcelain, are highly esthetic, and look very natural. How Should I Pick The Right Dentist For My Family? Are There Affordable Dental Options? 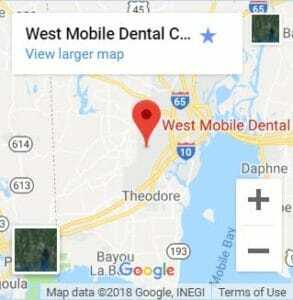 West Mobile Dental Care is conveniently located in Mobile, AL but proudly services Daphne, Prichard, Montrose, Fairhope, Tillman's Corner and other neighboring communities.